These pump units are made to comply with the demands of the marine industry as regards materials, design, and ease of handling. All DESMI’s mobile pumps are in compliance with the Danish Maritime Authority’s requirements for portable emergency fire pumps in fishing and cargo vessels together with P-vessels. SA50T is a mobile emergency fire and bilge pump which weighs as low as 50 kg. This lightweight pump is specially designed for easy handling on board vessels. 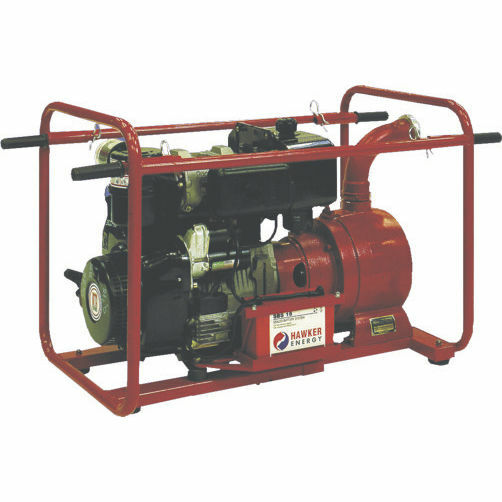 The construction is based on the well-known DESMI SA pump series. The pump casing is made of seawater resistant aluminium and the impeller of stainless steel. 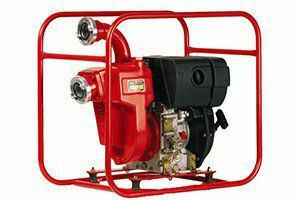 The pump is close coupled to a new-developed lightweight hand start Hatz diesel engine. Electric start is available as an option. The pump unit is mounted in a stable carrying frame. The flanges of the pump are equipped with Storz C-2” couplings for quick and safe connection of the hoses. The low weight of the unit and the stable frame make it possible to move the pump around.